We are a student-led robotics team at Grady High School in Atlanta, Georgia. We believe Science, Technology, Engineering, and Mathematics (STEM) are the keys to solving the big problems of today and tomorrow. G3 Robotics was founded in 2004 by 10 students and four mentors. 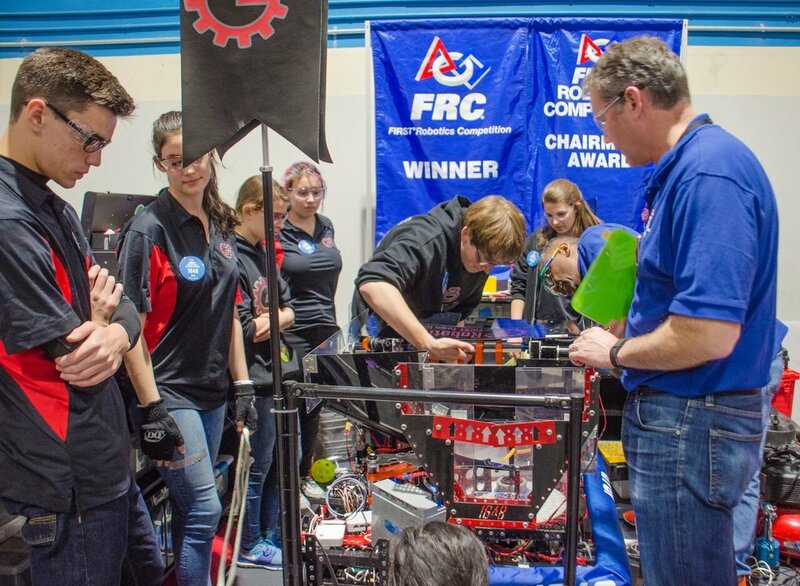 That year, with Turner Broadcasting as our only sponsor, we won the Rookie All-Star Award at the Peachtree Regional, and competed at the international level. Since then, we've grown to over 60 students, 10 mentors, and 16 sponsors. Now in our 14th year, we're proud to mentor Jr. FLL, FLL, and VEX Robotics across our school cluster and host 36 additional FLL teams through our annual G3 Regional FLL Championship. In 2014, we launched G3 Drones for Good, a middle school competition created to enhance STEM in the classroom. What started with three G3 students hosting five middle school teams quickly grew to our second team-wide outreach program for over 60 middle school teams from across the metro-Atlanta area. Over the next several years, we hope to start a LEGO robotics team in every elementary and middle school in the Atlanta Public Schools System. 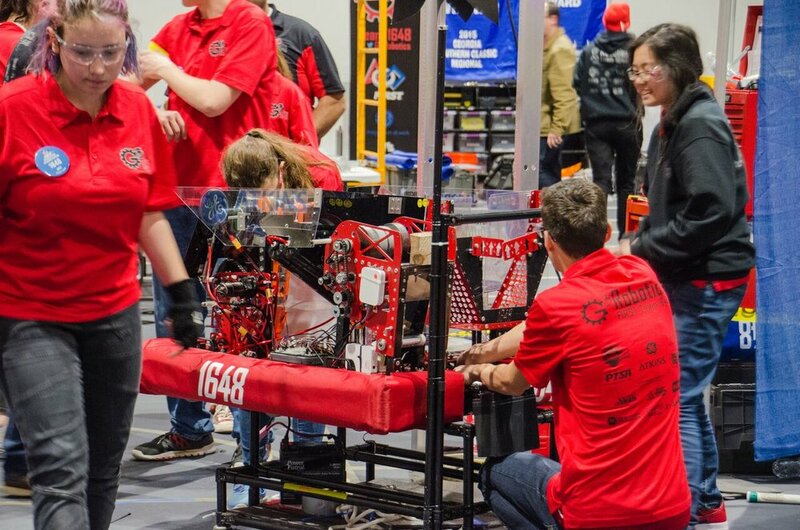 Of course, those students will want to be a part of something bigger, so we also hope to grow an FRC team in all of our district high schools too. To that end, we are proud to support the futures of an average of three rookie FRC teams per year. G3 Robotics believes that it's not enough to promote STEM education alone. As we aspire to meet our team's K-12 goals, we will keep STEM equity at the forefront of what we do. We will promote females, minorities, and the socio-economically disadvantaged. We will promote post-secondary STEM education opportunities for current and future students. We will help build a stronger, healthier STEM community in Atlanta, Georgia, and in our world. We envision a world where STEM leaders are heroes and role models; Where all students have opportunities for meaningful STEM challenges; and Where students grow into innovative, creative, problem-solvers who are ready to tackle the big problems of the next century. The First Robotics Competition (FRC) is a competitive robotics event for high school students. 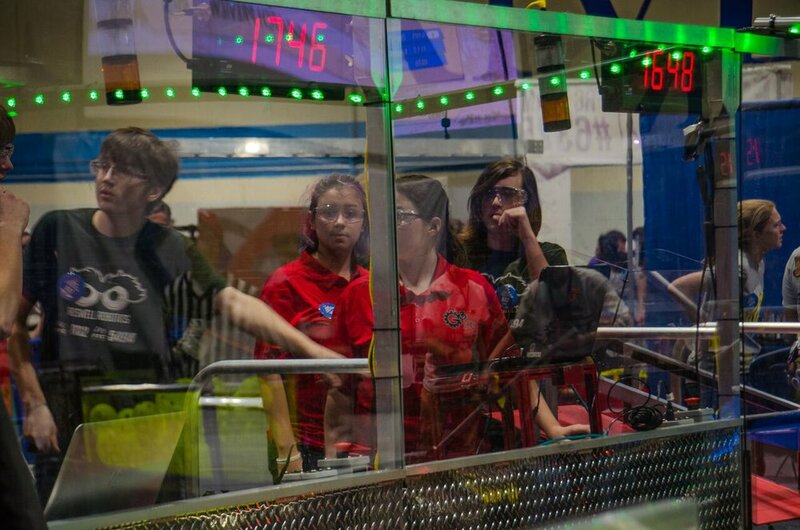 Under strict rules, limited resources, and an intense six-week time limit, teams are tasked with designing, building, and programming robots to compete in unique challenges with new rules and features that change from year to year. Students compete at regional, state, and world championship levels. G3 Drones for Good (DFG) engages middle school students, teachers, and professional engineering mentors in a STEM competition involving unmanned aerial vehicles (UAVs). Teams develop an innovative UAV-based solution to a problem in their community, state, or world. They research, problem-solve, and collaborate to design, build, and fly their own UAVs. Unique to G3, this Atlanta competition is held in the spring at Grady High School. First Lego League (FLL) challenges elementary and middle schools to think like real life scientists and engineers. They build, test, and program an autonomous robot to solve a set of missions based on real-world problems. G3 hosts an annual tournament for FLL teams around Atlanta and supports them during the build season. Like FRC, FLL students participate at regional, state, and world championship levels. Want to receive monthly G3 updates?